Nebraska Landlord Insurance Quotes - Get Nebraska Landlord Insurance Quotes in Minutes. Nebraska landlord insurance quotes online will provide you the best prices for premiums for the coverage you need for your investment property. If you own rental property in Bellevue, Columbus, Fremont, Grand Island, Hastings, Kearney, Lincoln, Norfolk, North Platte, Omaha, or another city in Nebraska, sufficient landlord insurance will protect your investment, so be sure you select the right policy for your needs. By completing the form on this site, you can get Nebraska landlord insurance quotes quickly and easily. It only takes a couple of minutes, and best of all, it's free. Nebraska landlords face specific dangers to their investment properties every year. These perils include severe weather in the spring and summer, including thunder, lightning and hail storms. And, because Nebraska is in Tornado Alley, destruction of property by tornadoes is a common threat. In the winter, cold temperatures and lots of snow create problems such as ice dams and frozen pipes that cause water damage to buildings. These “default perils” of nature are of concern to any property owner in Nebraska, but damages from these factors can be covered by the right insurance policy. Your property could be damaged or destroyed by other factors, too, such as fire. 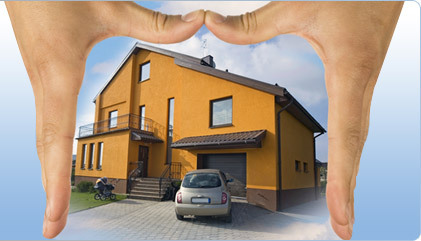 Having a landlord insurance policy will protect your investment. To find the best Nebraska landlord insurance policies at the best prices, simply use our quote request form. The quotes provided help landlords like you save money about 95% of the time. We search a network of 200 insurance companies, so you are getting the most competitive prices available in Nebraska. Many landlords don't know that flood damage is not covered by their insurance by default, and this is the biggest and most common gap in coverage. Spring and summer rains in Nebraska have been known to cause interstate highways and Amtrak to be shut down, even entire towns to be evacuated. Flooding is the most common property insurance claim in America, and unfortunately many people find out they aren't covered too late. Though it's true that some areas are more likely to flood than others, adding flood insurance to your policy, even if it costs a few dollars more, is the best way to protect yourself. Those few dollars now could save you tens of thousands in the future. Some landlords who don't have flooding coverage yet think they can save a little money now by waiting until they hear about a coming storm and then order it. This is a mistake! Flood damage policies have waiting periods before they come into effect, so don't put it off and not be covered when you need it. The first reason landlords consider getting Nebraska landlord insurance quotes is to cover potential property damage and destruction. But there are other ways that having investment property insurance can also be of benefit. Landlords who provide furnished units may want to get contents insurance. Contents insurance covers such things as refrigerators, stoves and other appliances, as well as furniture should that be provided for renters. Tenants would still be responsible for their own possessions. Loss of rental income can also be insured by a landlord policy. This type of add-on to a policy would pay the landlord should the rental unit need repairs that would require tenants to move out. One of the most important ways landlord insurance can protect you, aside from property damage, is liability. If someone were to get hurt on a rental property, the owner can be held liable for medical expenses and damages. If that happens, you want to make sure those costs as well as legal fees don't come out of your own pocket, as they can be very expensive. A Nebraska landlord insurance policy can also cover accidental damage that tenants cause, for instance if they damage a wall while moving furniture. Sometimes tenant-inflicted destruction can be so extensive, even if completely accidental, that damage deposits won't cover the full cost, and this type of policy add-on can cover the balance of the expense. Look for this when reviewing your Nebraska landlord insurance quotes. Not being covered for flood damage is one mistake already mentioned. But there are two other pitfalls that are all too common in purchases of Nebraska insurance for investment properties. First, many landlords don't insure their properties for the full amount it would take to rebuild the property if it were to be completely destroyed. Total destruction of property does happen, and if it happens to you, be sure you have enough insurance coverage to rebuild at current construction prices. Secondly, landlords will sometimes elect to buy an insurance policy with a deductible that's higher than they could actually afford if they had to pay it all at once. This can save some money in the short term, but could cause problems and delays in the future, so either have money put aside for this kind of event, or simply choose a policy with a lower deductible. Your premium will be a bit higher, but should something happen, you will able to get money from your insurance company without the hassle. Get Your Nebraska Landlord Insurance Quotes Here Today! When you request Nebraska landlord insurance quotes using the form on this site, you will spend about two minutes answering questions, and that's it! Then you can sit back, compare policies, and find the best insurance policy for your needs at the lowest prices available today. So please don't put it off, you could save hundreds of dollars this year alone.